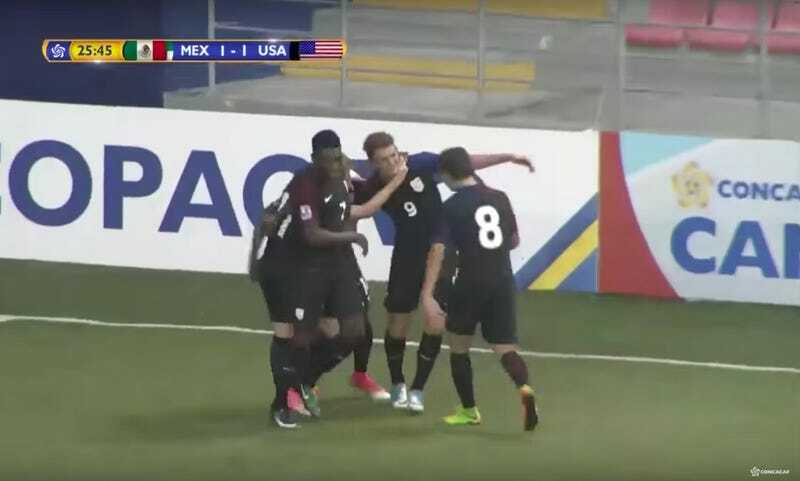 The United States U-17 team is taking on Mexico in the CONCACAF U-17 Championships this evening, and young American forward Josh Sargent kicked things off with a very pretty goal. The Missouri prospect ran onto a long range pass from Blaine Ferri, turned one Mexican defender into a mannequin with a few nifty touches, then megged the keeper for the goal. A few minutes later, he bull-rushed through a few errant clearances and a scored the U.S.’s second. The kids are just fine.